GLY GOLF EVENT HUGE SUCCESS!!!! 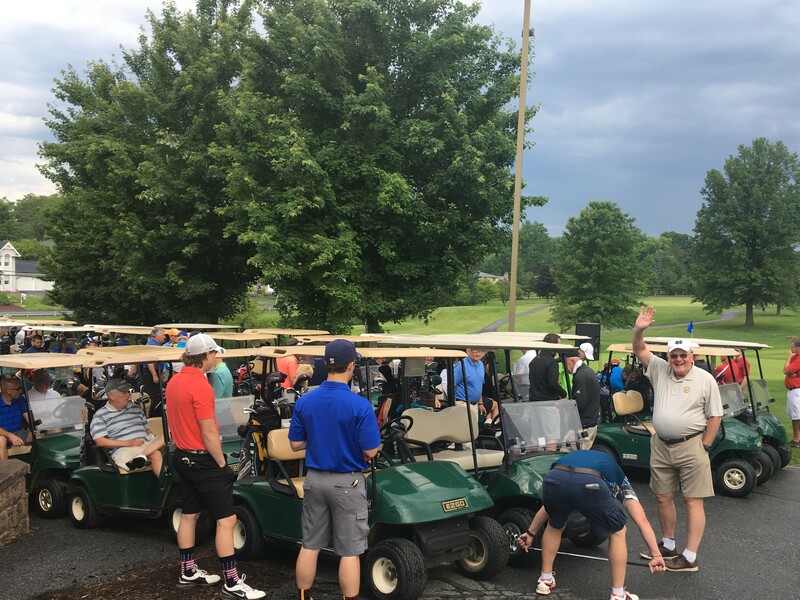 288 golfers from South Central PA and as far away as Texas, Maryland, Indiana and Florida came out on a beautiful spring day to raise money to fight cancer. This years event reached new highs, with the overall winners posting a minus 18 (more on this later), a record number of Sponsors and Volunteer support. We would like to thank all the golfers who came and for their fund raising support on the course. To our Sponsors THANK YOU !!!!! The number of Sponsors continues to grow, and their support continues to increase the dollars raised. The Volunteers, without their efforts and the time they put in to insure that our event and the golfers needs are supported, continues to put us over the top each year. Once again thank you to everyone for making this a don't miss charity event in South Central PA.